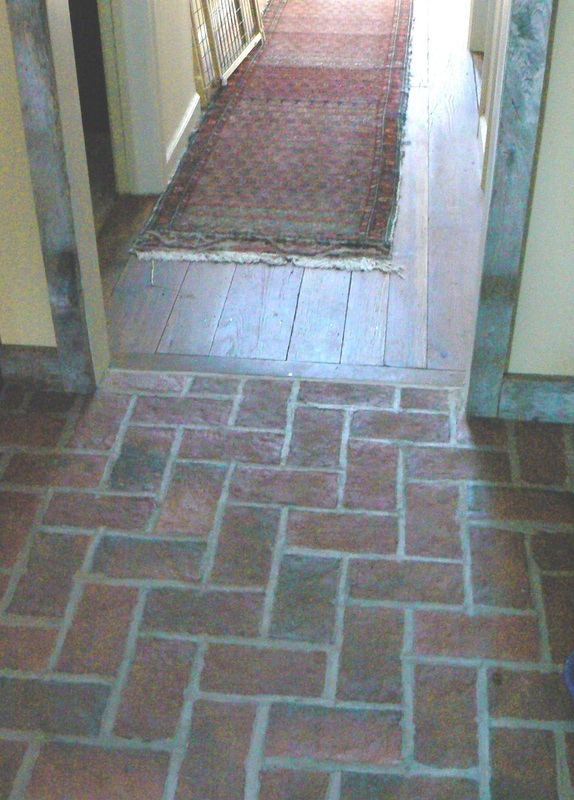 Tommy Martin's weathered brick floor tile front entry with Wright's Ferry, in the Savannah color mix with wood ashes fired into the clay. 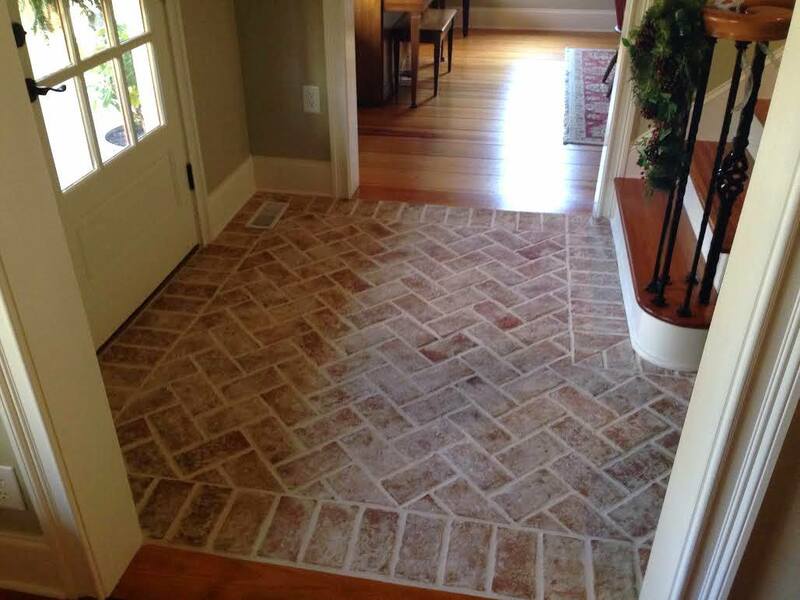 This picture was sent by our customer, Jeanette Lindvig. 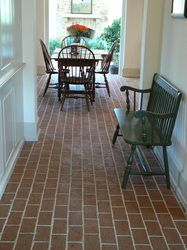 I love the way the Wright's Ferry brick tiles (Marietta color mix) meets the polished wood dining room floor. 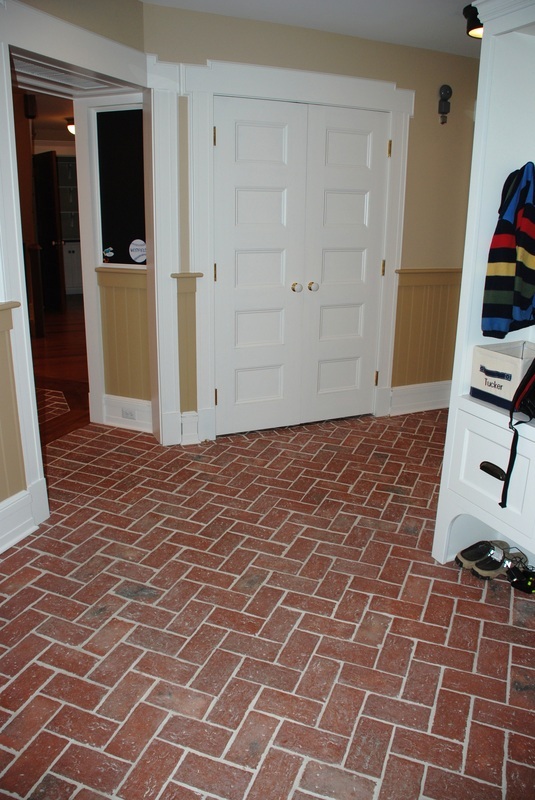 It shows how brick can be at home in an elegant setting, as well as a rustic one. 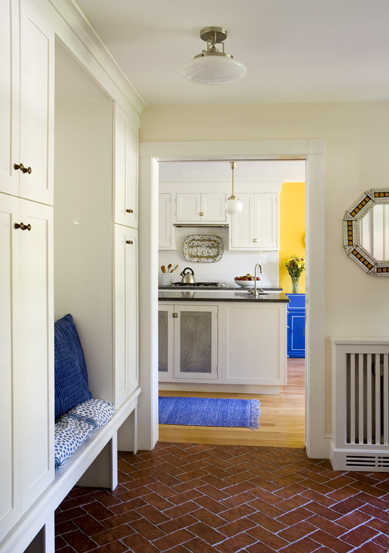 Thank you to Sue and Sarah at Vintage Kitchens for the beautiful picture! 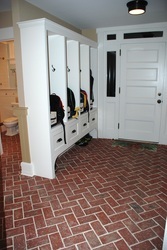 Our brick tiles are perfect in this entry. 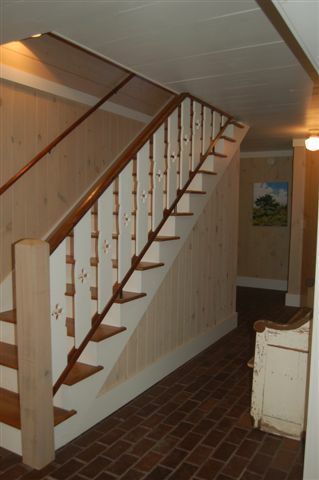 Below is a series of pictures from Ron Stephen's home. He used off-white clay powder and wood ash fired into each Wimer's Mill tile. 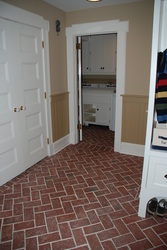 The picture below is the Wright's Ferry tiles, in the Old Strasburg color range. 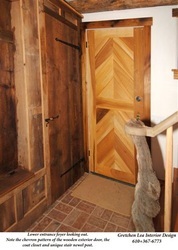 Thanks to Focus Construction for the photo! 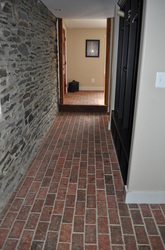 Our brick tiles warm this contemporary, bright hallway. 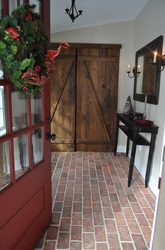 Thank you to the Horowitz family for this beautiful picture of the entry to your New England home! 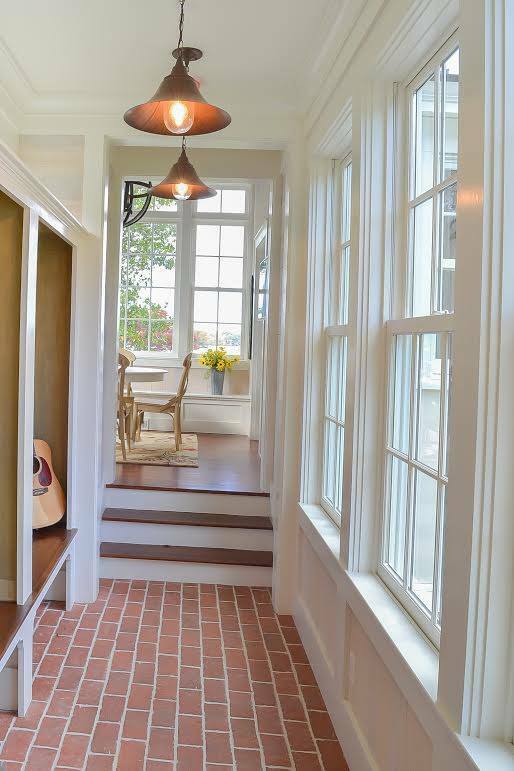 This hallway is the Traditional Antique style, Old Strasburg color mix. 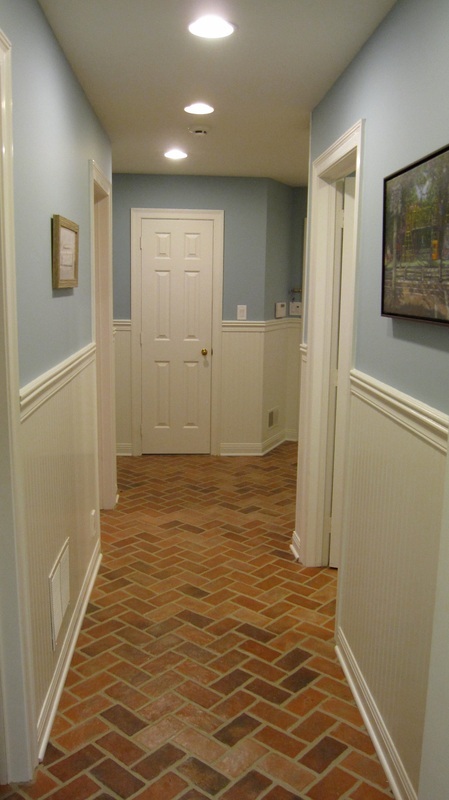 Thank you to Azola Restorations for this picture of their beautiful offices in Baltimore! 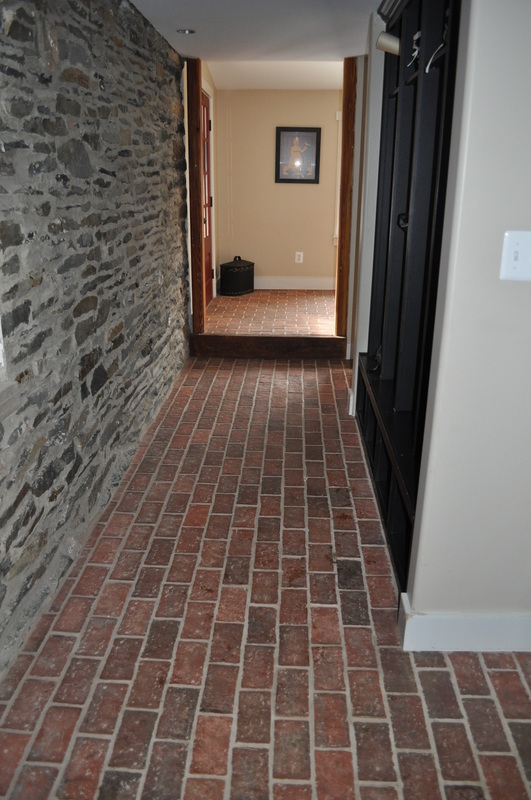 As you can see, the combination of the natural materials of brick and stone are perfect together. 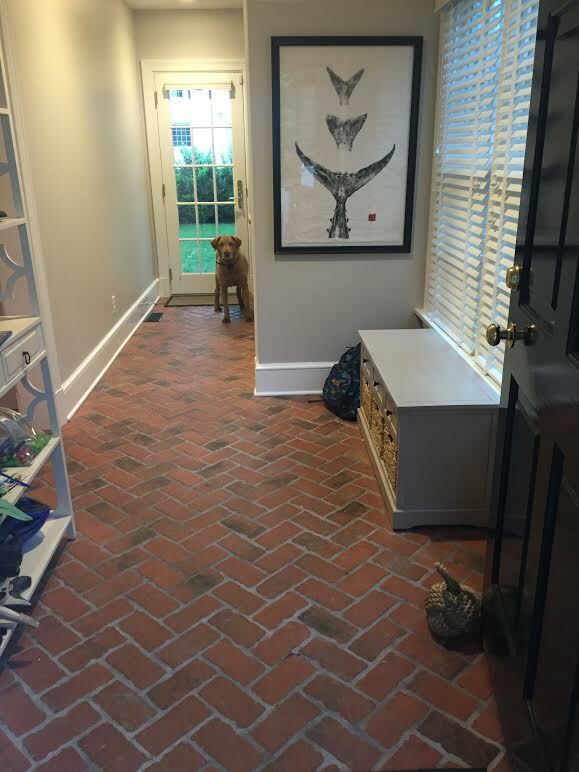 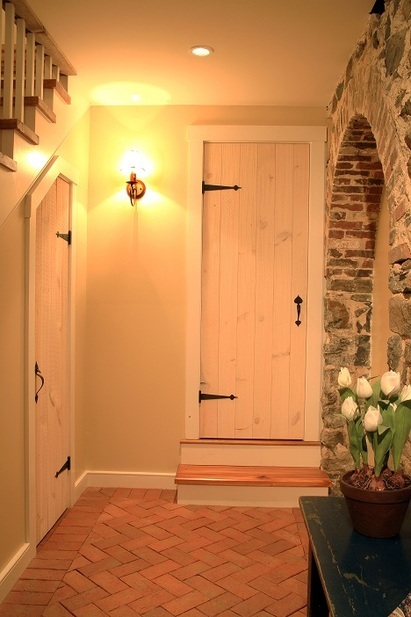 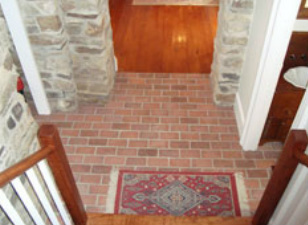 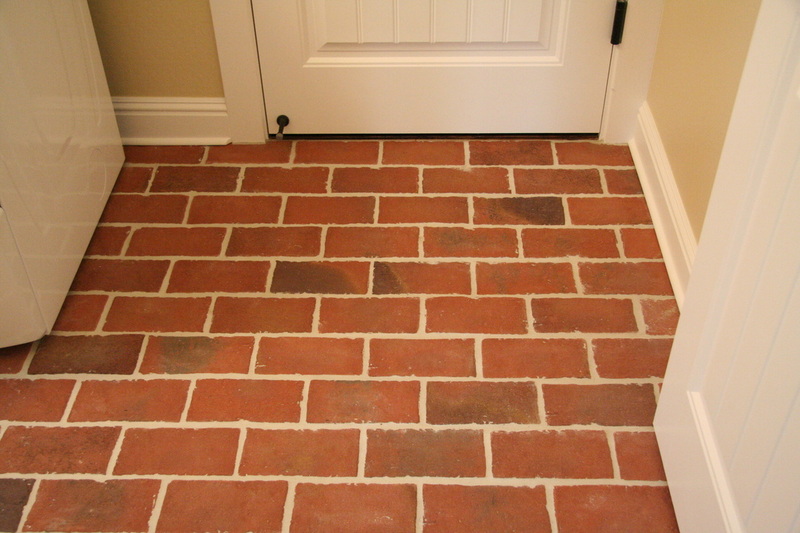 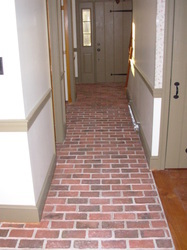 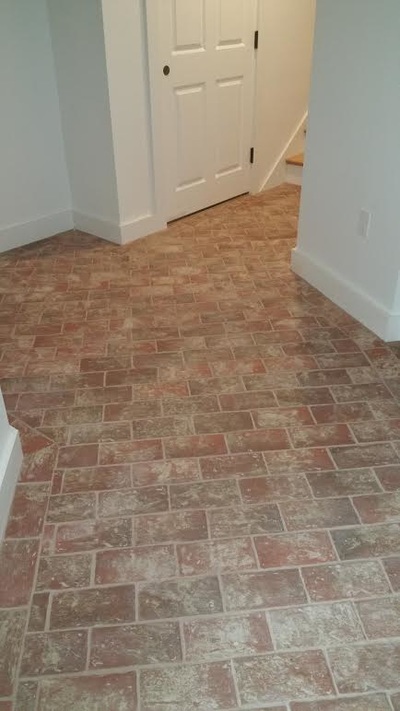 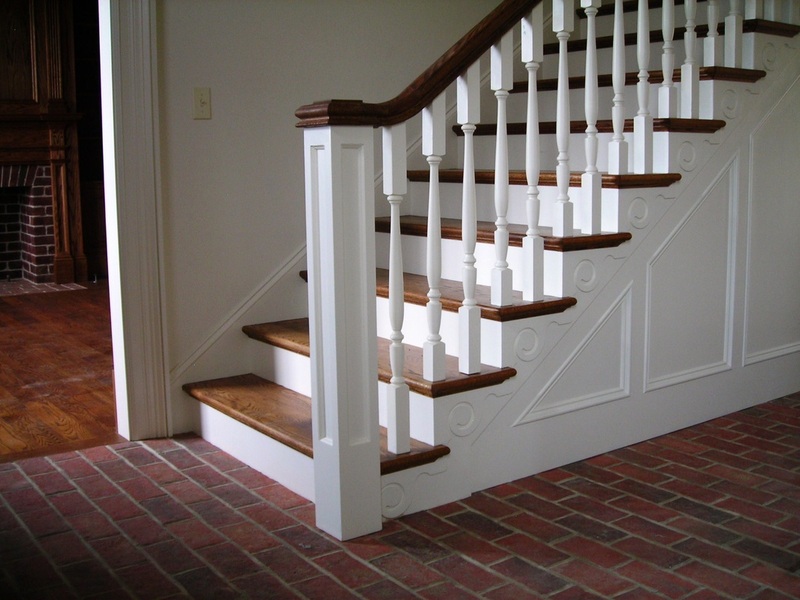 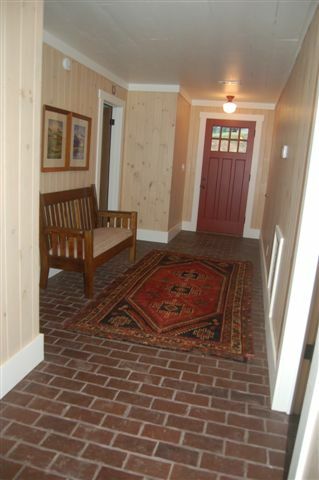 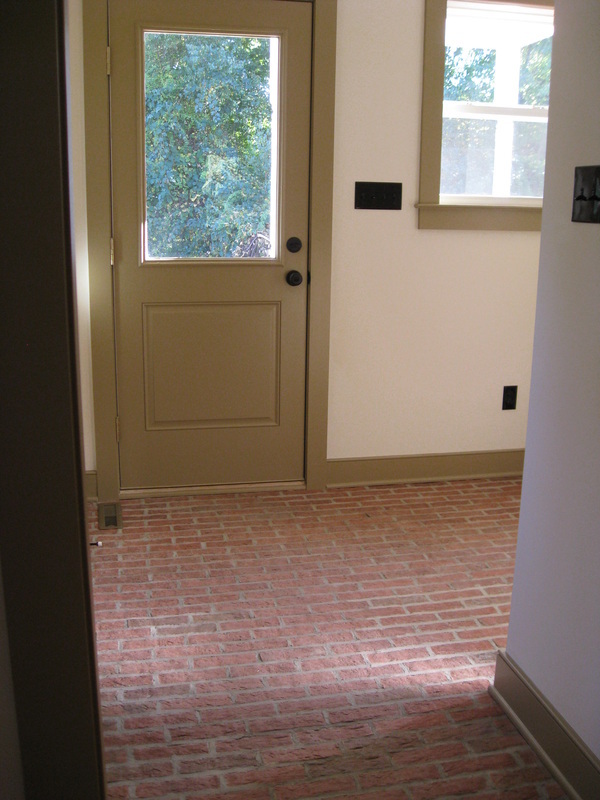 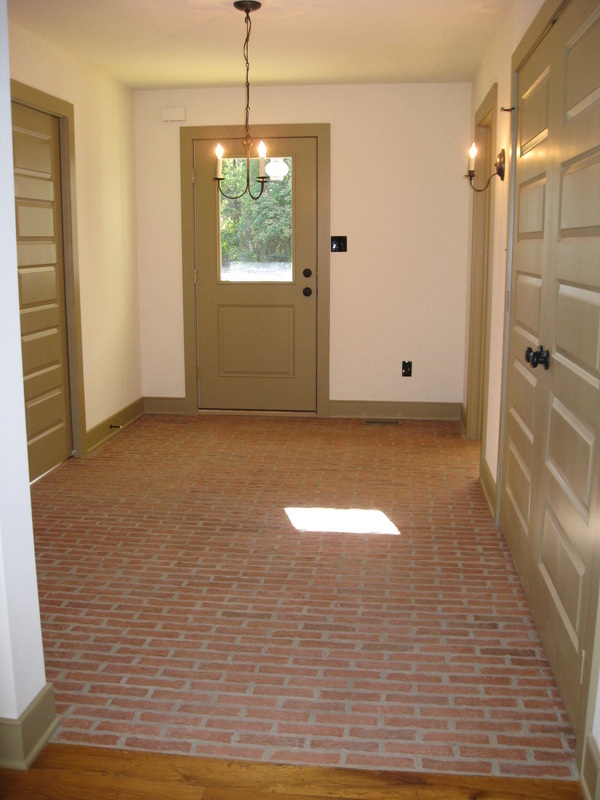 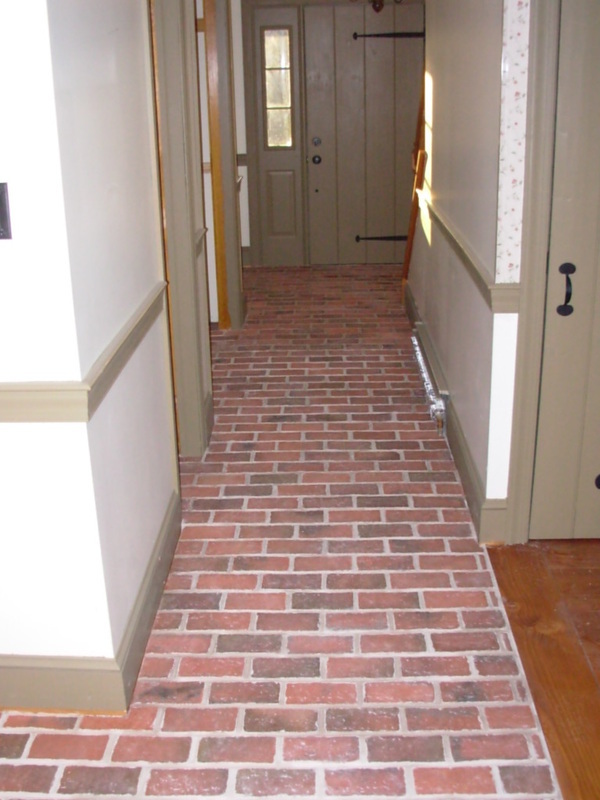 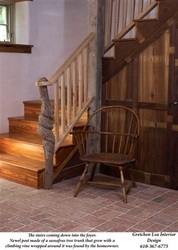 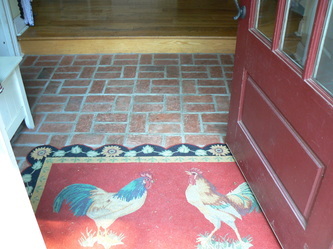 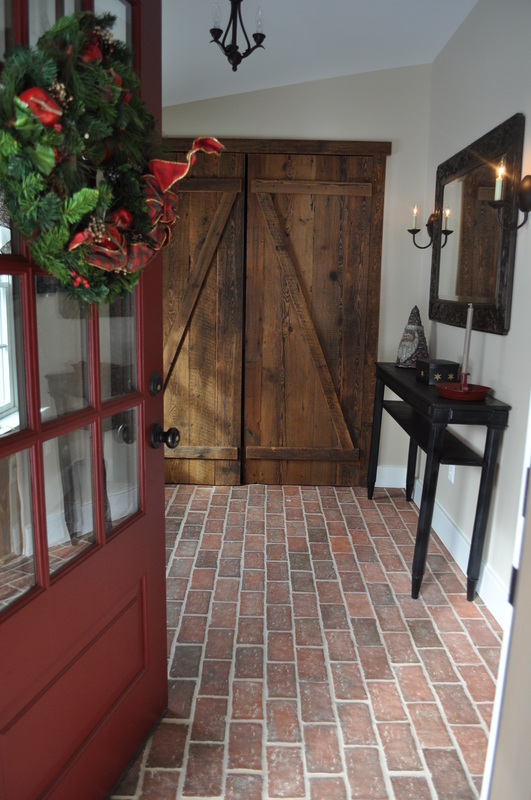 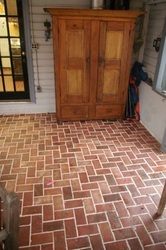 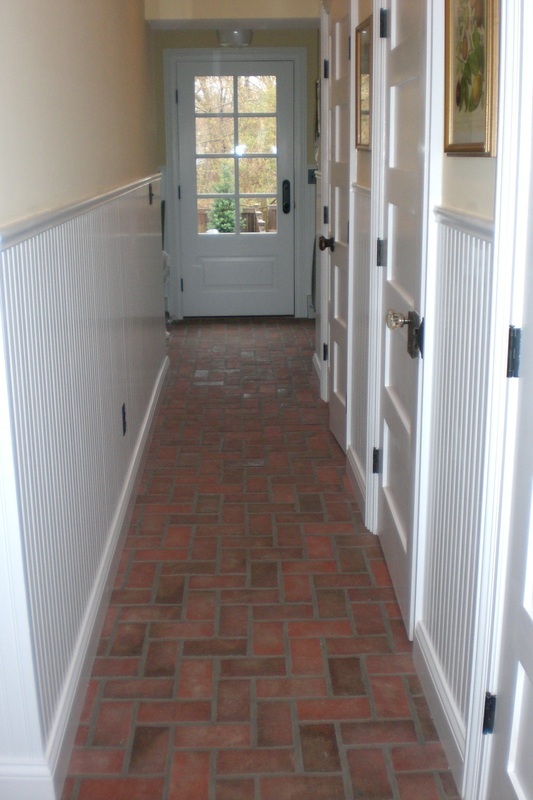 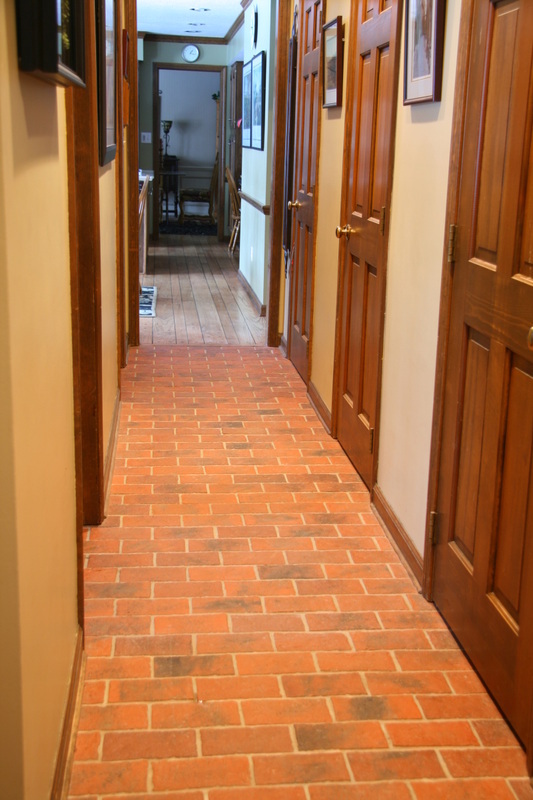 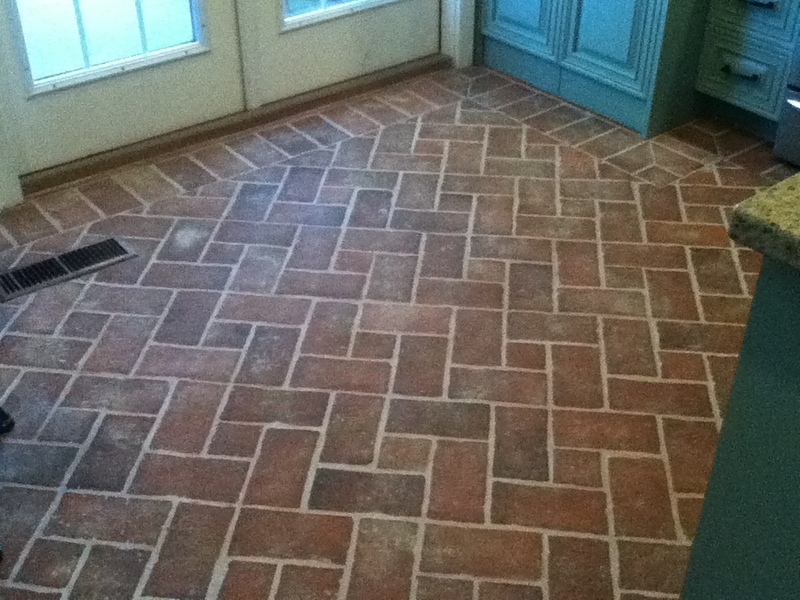 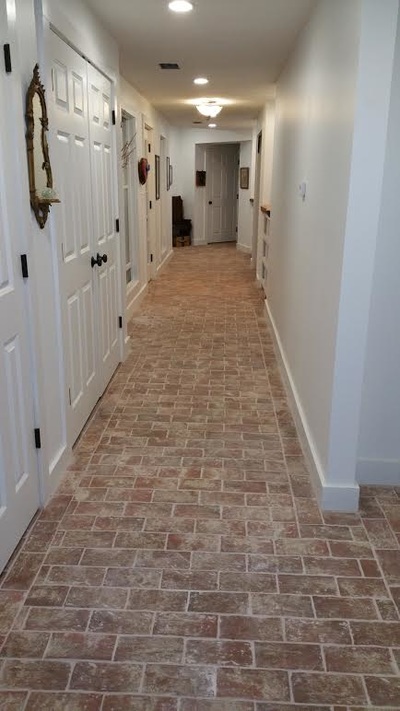 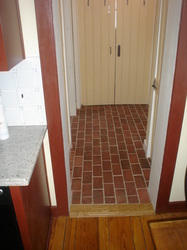 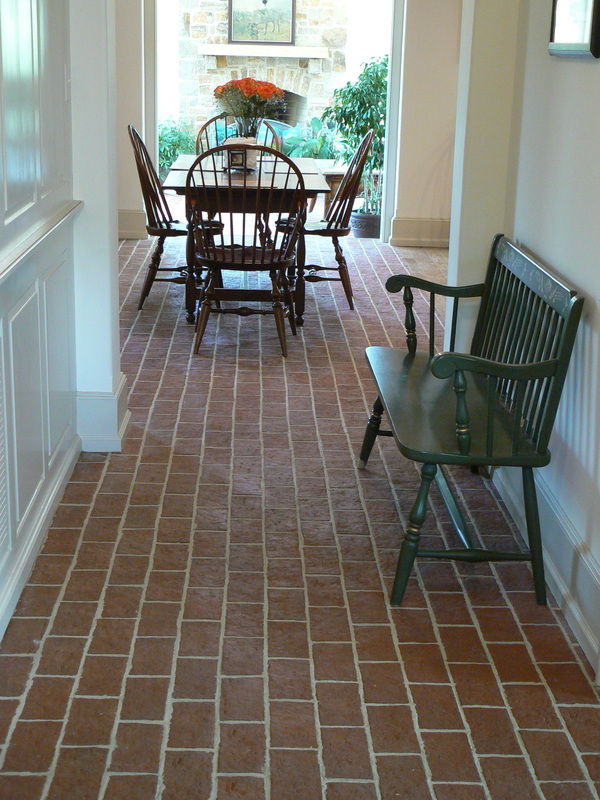 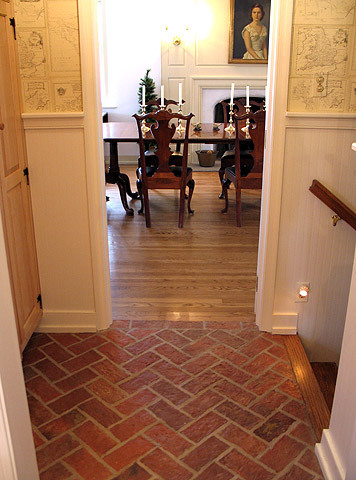 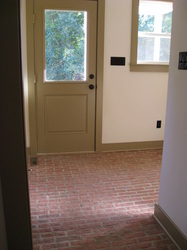 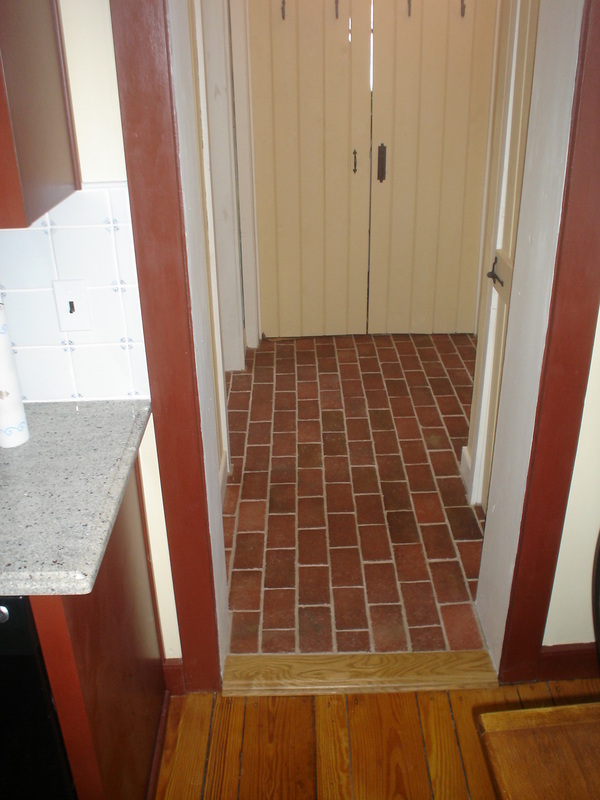 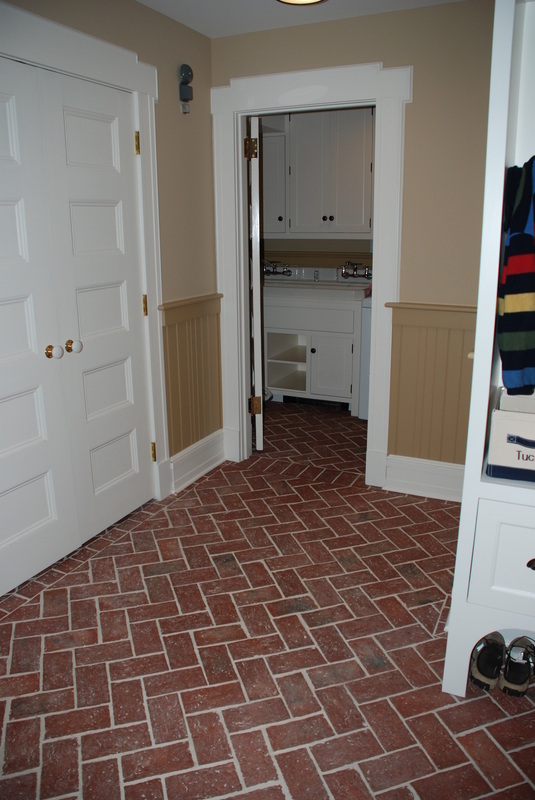 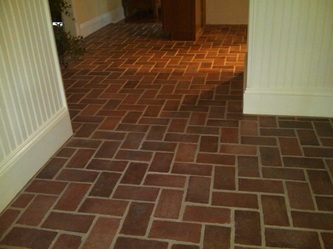 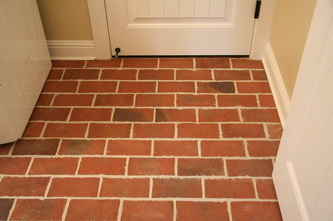 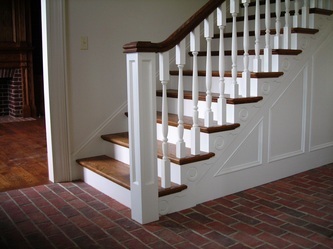 Tyler's hallway is Wimer's Mill brick tiles, in the Marietta color mix -- a beautiful and practical hall floor. 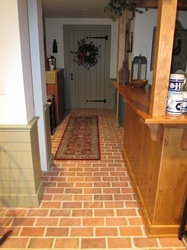 Thank you to Dee Dee Ruth for these pictures of her elegant home in western Pennsylvania. Our brick tile floor pairs so well with the woodwork on the grand staircase. 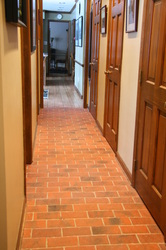 This is the entrance to the home, Sophia's Dairy. 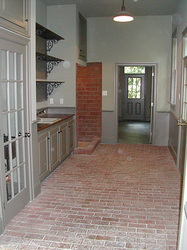 Again, I love the look of brick with the stone walls. 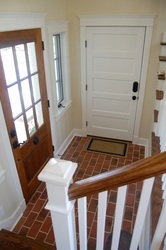 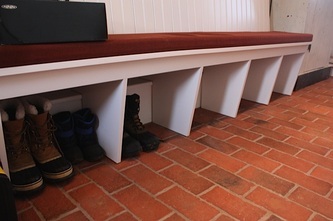 We have this look in our own front entry, and it is so practical and lovely! Thanks to Kirsten Azola from Azola Restorations (Baltimore) for this picture. 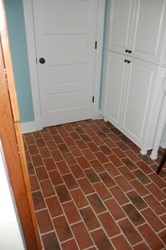 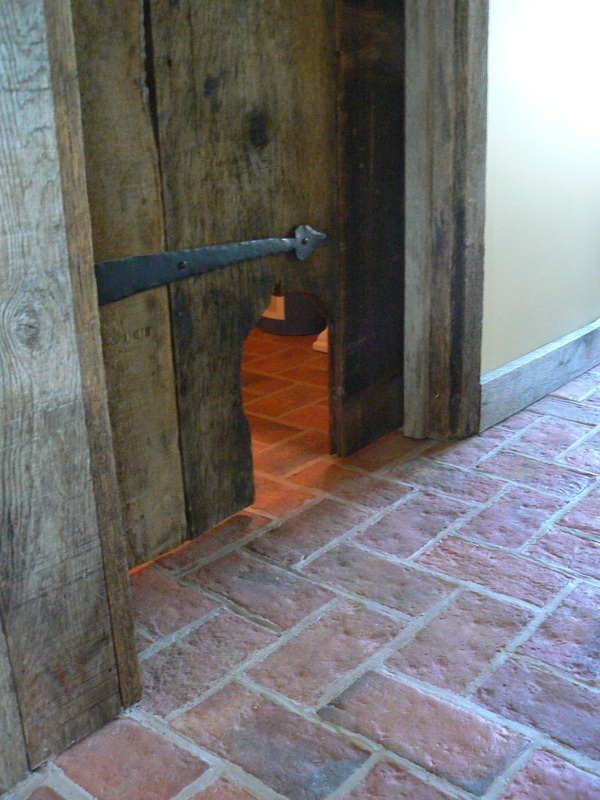 They used the Traditional Antique brick tiles, installed in a dry laid appearance, with no grout. 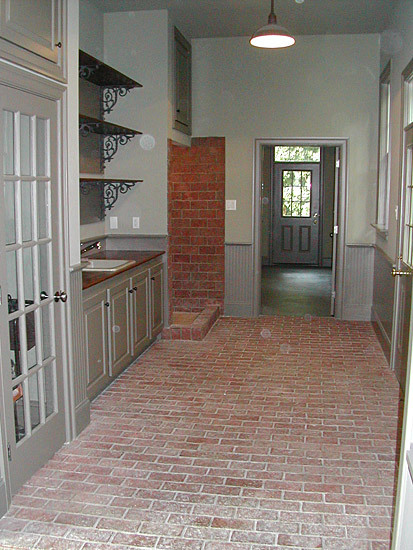 The before and after pictures of this space are remarkable. 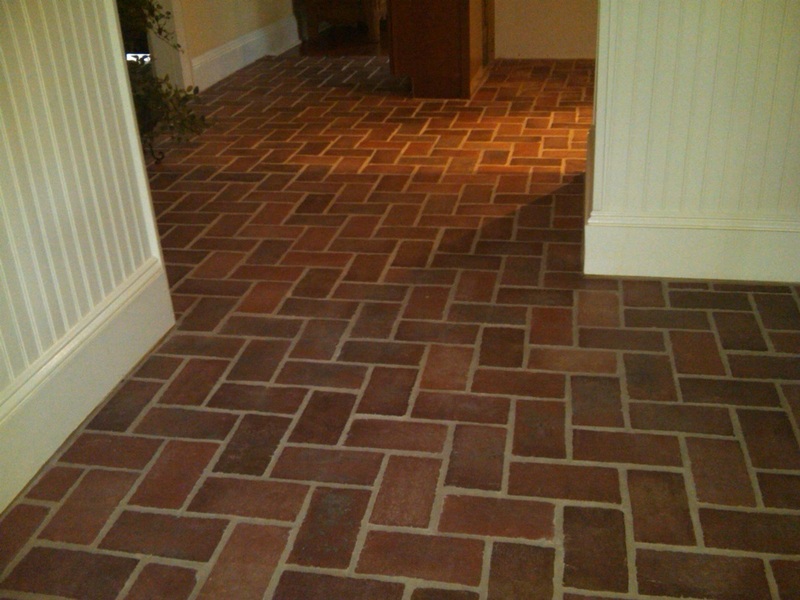 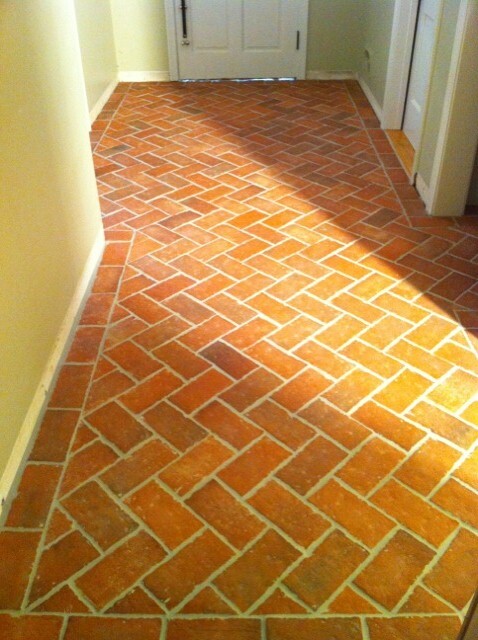 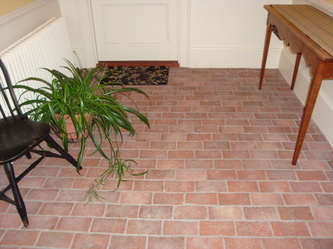 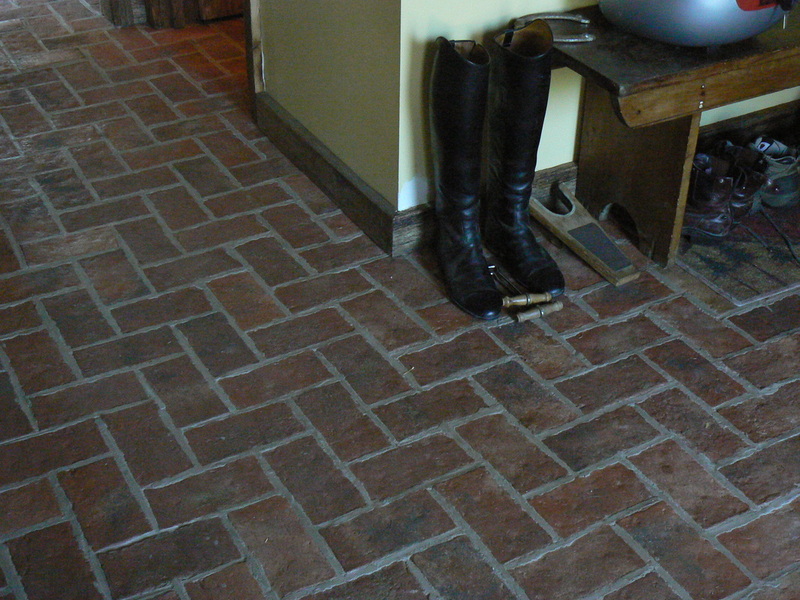 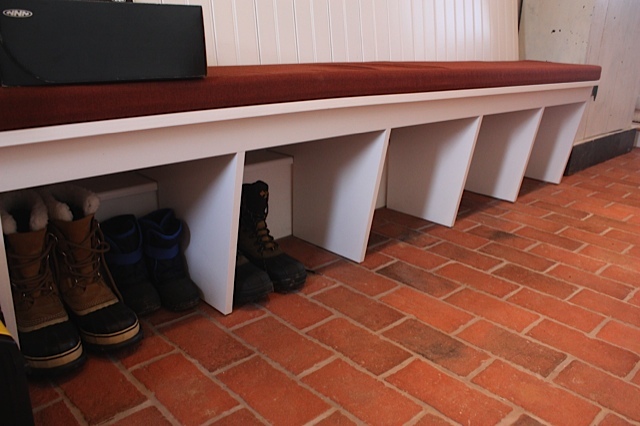 This brick floor used our Lancaster Running Bond brick tiles. 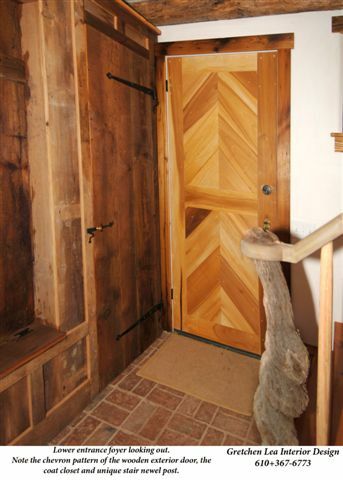 I included it in its own slide show, because it is unique for many reasons. 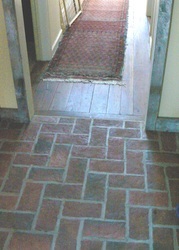 First, it is an interesting use of the slim, stretcher side of a brick, laid in a herringbone pattern. 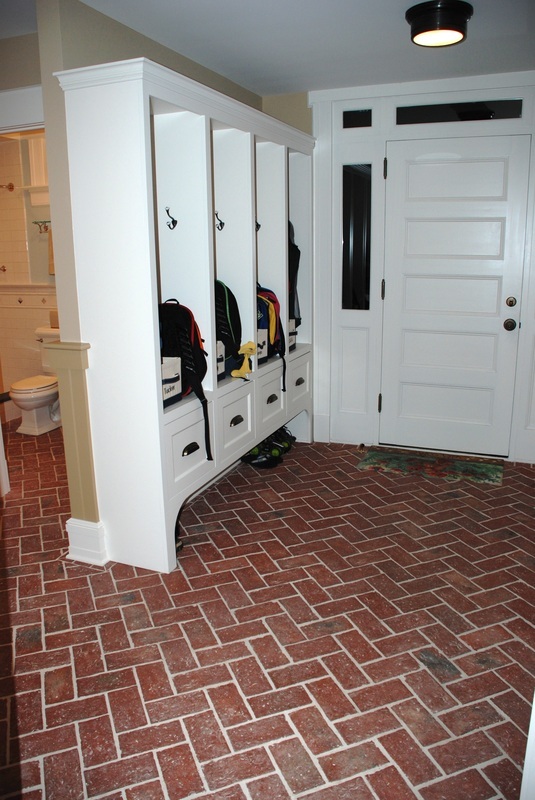 The colors used with the brick are bright primaries -- something you might not think to combine with a brick floor. The entire look is eclectic and lively, and says a lot about the mood of the family who lives here.